Merax Finiss Aluminum | Being Best-Seller, Is It Worth Buying? 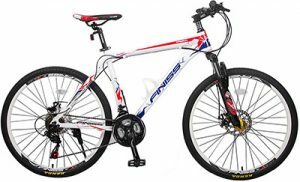 Merax Finiss Aluminum road bike is one of the best-selling cheap road bikes on Amazon. Let’s see closer. The reason why this is such a cheap road bicycle is because of the components that are fitted on it. So, let’s go over the components and product features of this Merax Finiss Aluminum road bike and cover some main pros and cons of this product. As you can see, the components that this bike comes with are definitely not state of the art. You get a pretty basic setup found on most low-end bicycles, but that is something to expect from a $200 road bicycle. 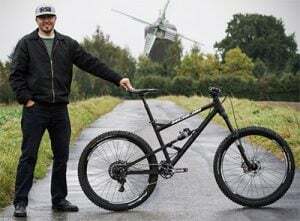 The fork is made of steel, which does make it durable, but it adds unnecessary weight to the bike whose performance depends on low weight. Finally, both rear and front derailleur comes from the Tourney component group, which has not proven very well in terms of reliability. They will shift gears, but you will need to adjust them more often if you want them to keep working properly. It comes in three color patterns: white-red, green-black, and yellow-grey. Even though Merax Finiss is a cheap entry level road bike, it still comes with some advantages that are worth mentioning. If you decide to buy it, these are the positive things you can expect to get out of it. Very cheap. 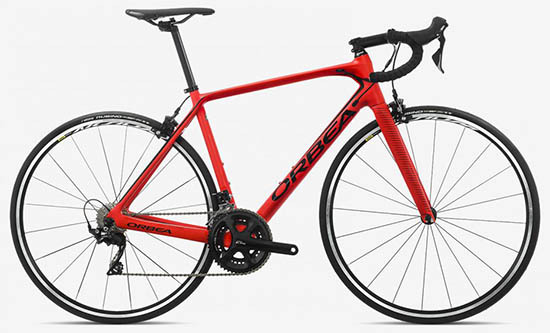 This bike only costs around $200 on Amazon and that is an amazing price for a road bike. 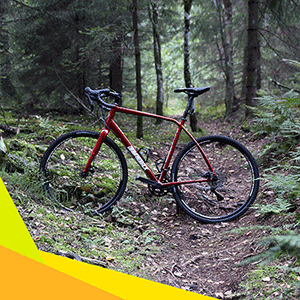 At 28 lbs (12 kg), it’s a relatively lightweight road bicycle. Compared to other high-end machines – it weighs a ton, but for a very cheap bike, it’s not bad. The bike is advertised as a unisex model and with the color choice that you have, it really is. It fits well both for men and women and the sleek design gives it a nice modern look. Entry level. 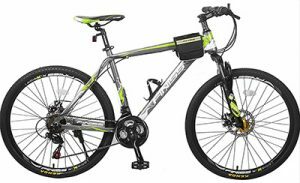 If you are just developing an interest in cycling and you do not know whether it will last, this bike is a good choice. You will get a nice cycling experience but avoid breaking the bank at the same time. Shimano components. Even though the components come from a very basic groupset, they are produced by Shimano. This fact at least guarantees you will get good value for your money. Plastic parts. Plastic components are never a good sign on a bicycle. 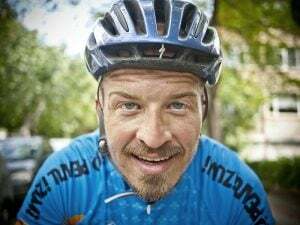 Bicycle parts are designed to take a lot of beating, so the plastic material is not a good choice, especially when it comes to pedals and brake levers. Poor brakes and derailleurs. Abundant negative user reviews provide a testimony that the brakes and gears do not work well on this bike. They need to be adjusted and tampered with often. Noisy hubs. 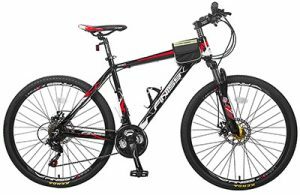 Some people who have bought this bike report that the hubs become noisy and develop a grinding sensation after some miles. Poor chain quality. The chain on this bicycle is very poor in quality. It wears off quickly, so you will need to replace it in order to be able to ride and shift gears properly. Overall poor build. 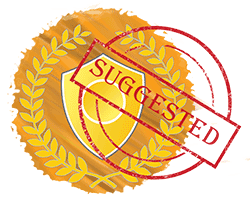 The bicycle generally has a cheap and low quality to it when it is ridden, so it is not recommended to more experienced riders. 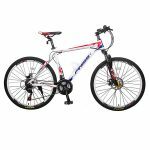 BUY IF you are just entering the world of cycling with small amount of money Or if you plan to ride your bicycle just from time to time, as a weekend recreation, this bike might not be a bad choice. DON’T BUY IF you are planning to practice cycling more seriously and to put more miles into those cranks, you should invest in a product that offers better quality. Merax Finiss Aluminum is cheap because of the low-quality components placed on it, but for the money you need to invest in it, you cannot expect more.